Chris Biblis was 16 when his leukemia treatment required radiation that would leave him sterile. He cryogenically froze his sperm and 22 years later…voila! Baby girl! 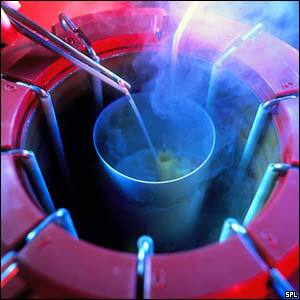 This is the record setting amount of time sperm has been frozen and successfully used to conceive a baby. The technology to do this wasn’t even around when it was frozen!